Not long ago I wrote about 5 Minnesota Towns You’re Pronouncing Wrong. That article really seemed to have made the rounds because it received a lot of comments from readers mentioning other towns in Minnesota often pronounced wrong. So naturally, a follow-up was in order. This week, we break down 5 more towns that tourists and out-of-towners are likely pronouncing wrong. Enjoy! 5. 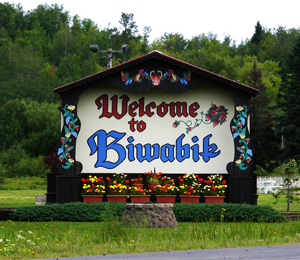 Biwabik, MN – Biwabik also made our Top Ten Coolest Towns in Minnesota list last year, due largely in part to its scenery and Bavarian architecture. And at the time of visit, we were under the impression it was pronounced different than it is. What looks like it should be “Buh-WAH-bick,” is actually “BYE-wah-bick.” Who knew? 4. 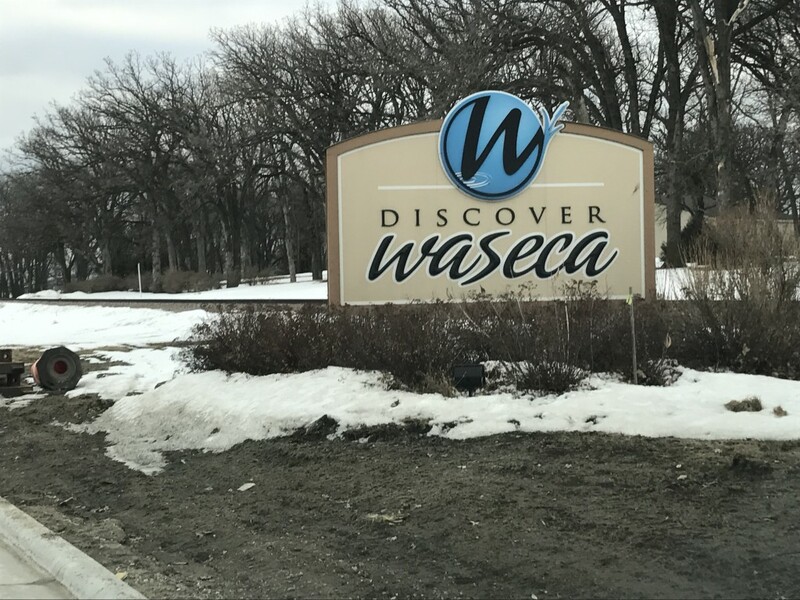 Waseca, MN – Waseca was mentioned in the reader comments several times and deserving of a spot on our follow-up list. Waseca could easily go one of two ways: “Wuh-SEE-kah,” or “WAH-sicka.” But the locals confirm that the emphasis is on the middle syllable, so “Wuh-SEE-kah” it is. Much like Sebeka, Wadena, or Winona, all in Minnesota as well. 3. 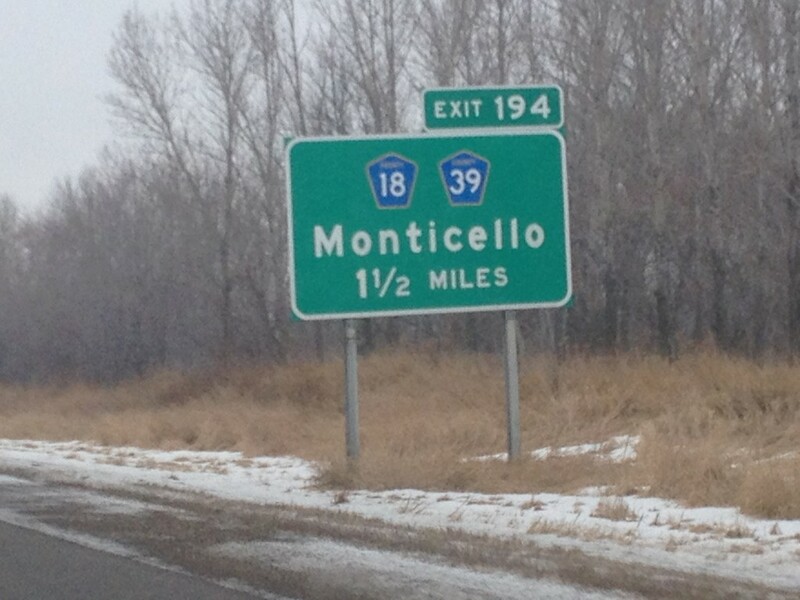 Monticello, MN – Most Minnesotans know that our town of Monticello is pronounced “Mont-uh-SELL-o.” I don’t think anyone in our state would say differently. But out-of-towners, who are maybe only familiar with Monticello (Thomas Jefferson’s plantation home in Virginia), would likely assume it is pronounced the way they do there: “Monti-CHELL-o,” like the instrument. But even research about the historic southern plantation shows that many folks pronounce it both ways there, too. 2. Chokio, MN. 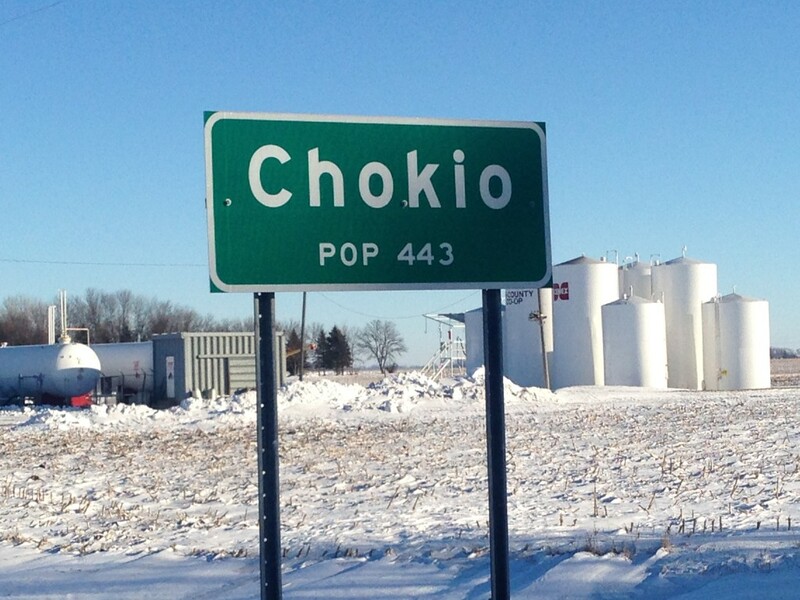 Chokio is a pretty small town out on the western prairie of Minnesota. When looking at a sign for the town, one just assumes it’s pronounced “CHOKE-eeyo.” But the truth is that it is pronounced “Sha-KYE-o.” I’m stumped on that one too. 1. 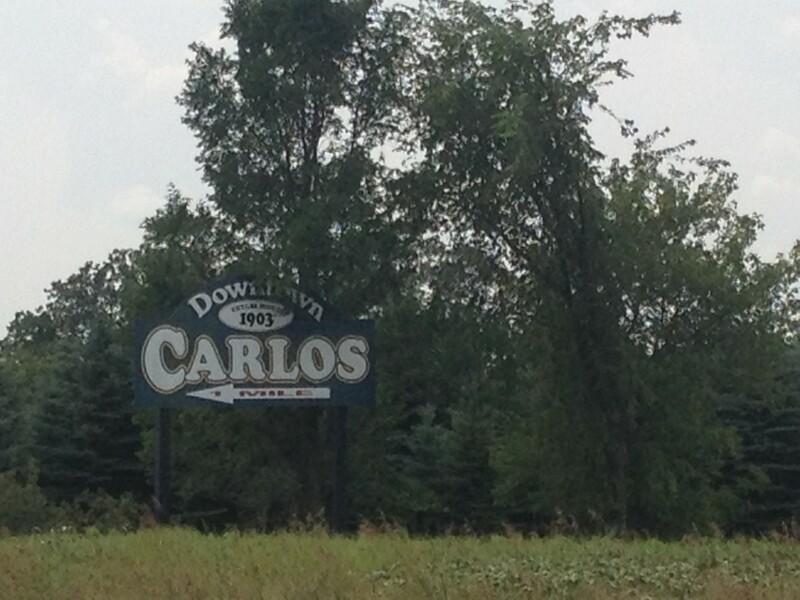 Carlos, MN – Just outside of Alexandria, MN is a small town called Carlos. I was quite surprised to find that all the locals around the area pronounce it “CAR-liss.” But what’s even more puzzling, is that when locals refer to a different area location with Carlos in the title, such as Lake Carlos State Park and Carlos Creek Winery, it suddenly goes back to being pronounced “CAR-lohs”. Did we miss any others that you know of? Don’t know why poor little Chokio would stump you. It’s not like we say “CHICK-ah-go” for Chicago. But when Alexandria had local news on the TV, you could always tell the new people on it with the way they pronounced Chokio. The one I hear mispronounced the most is Bemidji. Folks have a habit of pronouncing it burr-midge-ee instead of Buh-midge-ee. They like to add that R sound in the first syllable. I also have heard folks say it like “Bermidji,” but usually it was a joke like they were say “Brrrrr-midji,” because of the cold winters. I keep waiting for my hometown of Shakopee to make one of these lists! I have heard it pronounced “SHACK-o-pee” or “Shock-OH-pee” but we have always called it “SHOCK-uh-pee”. Two more: Edina (ee-DIE-nuh, but I’ve heard new TC media recruits prounounce it on air as “ED-ih-nuh”); Wayzata (wy-ZET-uh, not way-ZAT-uh). Even though I’m a native, after spending a decade in DC, and being a Jefferson-ophile, I still choke on the MN pronunciation of Monticello. Kevin, Gaylord was featured on the first article in this series, you’ll find a link to it at the top of this article. Kanabec County. I think kuh NAY buhk. Lima is pronounced LEYEma, Medina is MedEYEna, Rochester is Roshstr, and Charlotte is Char-LOTTE. I think people everywhere pronounce the names of their localities differently than they are written in order to distinguish out-of-towners from locals. How do you pronounce Theilman, MN? How about Osakis? it O-say-kis or O-sack-us?